John Vogl aka The Bungaloo has really been creating stellar work lately. 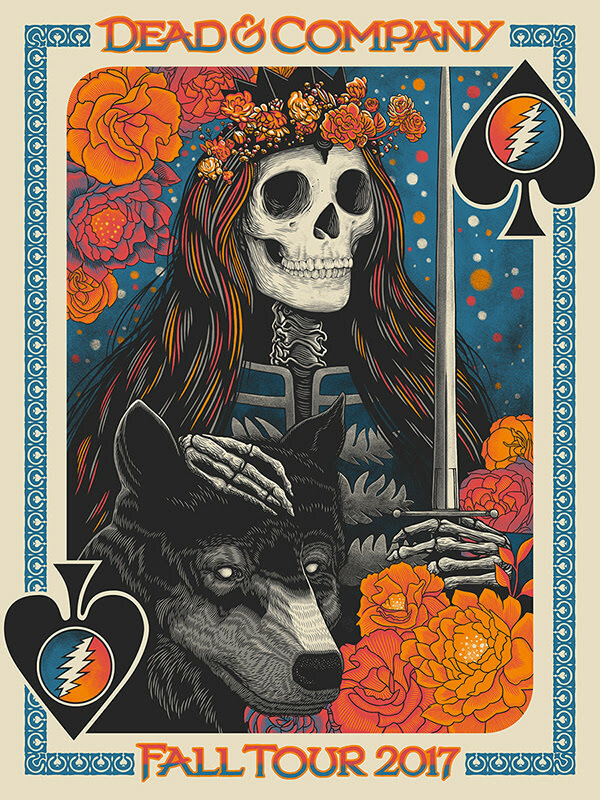 His new poster for Dead & Co. is an 18″ x 24″ screenprint, has an AP edition of 100, and costs $85. Visit TheBungaloo.com.